Will Meghan Markle get "No" more than Kate Middleton? 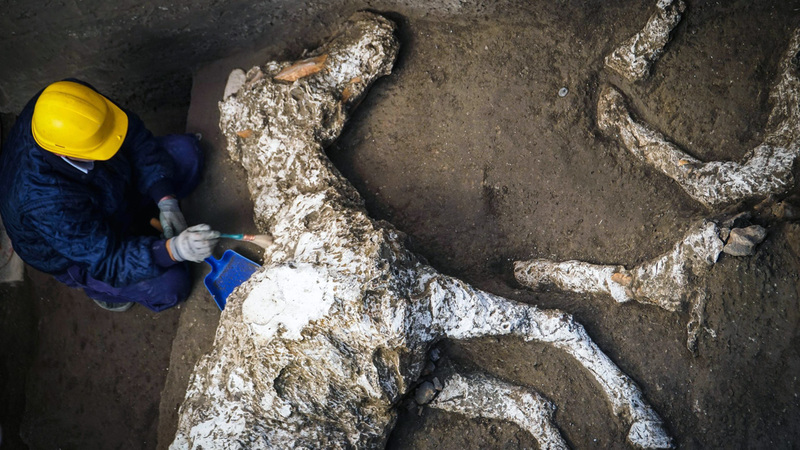 Archaeologists in Italy have uncovered the fossilized remains of several horses in the stable of an old villa in a suburb of Pompeii near the present-day city of Naples. Massimo Osanna told the Italian news agency ANSA that the horses were probably suffocated by volcanic ash or killed by boiling water vapor at the outbreak of the mountain. Vesuvius in 79 AD The eruption destroyed the bustling city of Pompeii and its sister city Herculaneum and buried hundreds of people and animals in ashes, which preserved their remains of three or four horses were discovered. One of the animals was strapped on, and the workers also found a saddle adorned richly with bronze ornaments. According to Osanna, the villa belonged to a high-ranking Roman military officer, possibly a general. He hopes that the villa will eventually be opened for public viewing.